Take care when watering as these leaves have been spotted by water drops leaving a filmy deposit. Too much water on leaves will cause rotting. Plants should not be allowed to dry out, but the biggest problem is rotting of stems caused by over watering. To help control watering grow in a well drained potting mixture with some extra sharp sand and or perlite. Do not allow the plant to stand in excess water. American Kalachoe specialists say ‘Native to Madagascar, the Kalanchoe is a low-growing succulent that blooms in long-lasting clusters of tiny flowers. 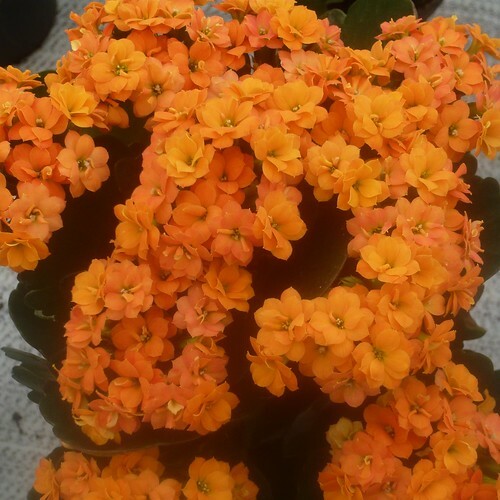 Due to its low maintenance requirements and its suitability to either indoor or outdoor environments, the Kalanchoe is a very popular choice with both interior and exterior designers. 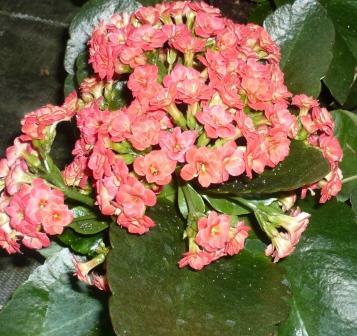 The Kalanchoe is available in a multitude of varieties, offering a seemingly endless choice of colours. HOW DO I KNOW IF THE KALANCHOE I HAVE IS AN INDOOR OR AN OUTDOOR PLANT? Re: Kalanchoe, the flowers are begining to fall or fade, does the plant need trimming/pruning or will they eventually return.